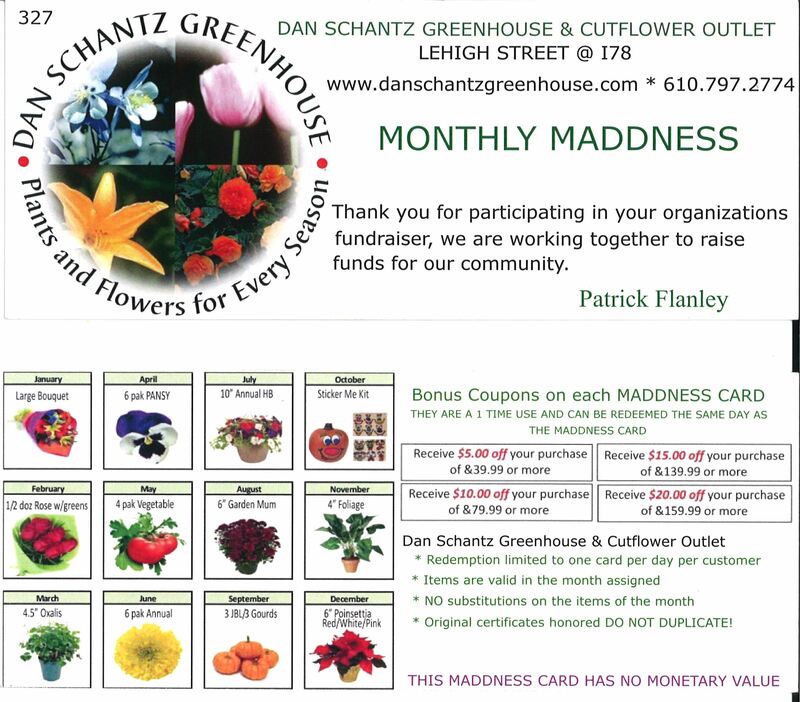 The Heidelberg Township Environmental Advisory Council is selling coupon cards for Dan Schantz Greenhouse as a fundraiser. The EAC sponsors a scholarship for a Northwestern Lehigh High School student, maintains the riperian buffer area behind the township building, provides free educational programs for the community, reviews permits, advises the township on environmental issues, and more. the EAC is responsible for their own budget and any monies raised will be invested back into the community and environment. EAC members are appointed by the Board of Supervisors and are volunteer positions. The public is always welcome at EAC meetings and events! 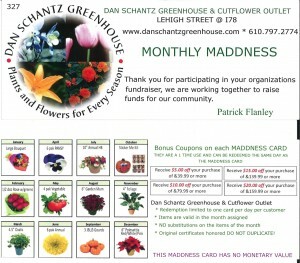 The coupon cards are $20.00 and if you take advantage of all the items on the coupon card the value is over $40.00! Its a great deal and it benefits the community and the environment! Coupons are available through EAC members and at the Township Building during business hours.